Nine miles southwest of Stranraer on the beautiful and rugged west coast of the Rhinns is the picturesque old port of Portpatrick. Until the mid-19th century it was the main departure point for Northern Ireland but is now a peaceful little holiday resort and a good base from which to explore the southern part of the peninsula. 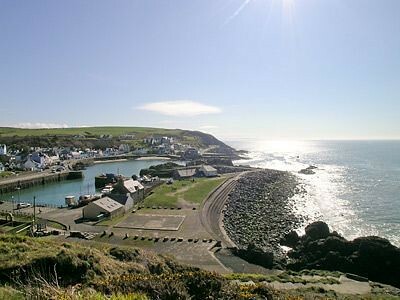 Portpatrick is also the starting point for the Southern Upland Way, the 212-mile coast-to-coast route which ends at Cockburnspath on the Berwickshire coast . The whole route may be beyond most mortals, but you can walk the first section to Stranraer (nine miles), or continue for a further four miles to Castle Kennedy Gardens and return to Portpatrick by bus, via Stranraer. 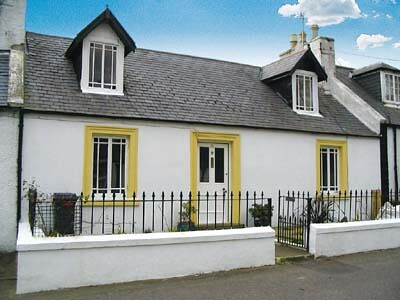 You can arrange sea fishing trips from Portpatrick. These cost £8 for half a day, Tel 810468. From Portpatrick the road runs south to the Mull of Galloway through lush, green farmland which receives high average rainfall. The Rhinns are also warmed by the Gulf Stream which gives the peninsula the mildest climate in Scotland and means it's almost frost-free. This is beautifully demonstrated at Logan Botanic Garden, an outpost of Edinburgh's Royal Botanic Garden, about a mile north of the tiny village of Port Logan. The garden boasts a vast array of exotic, subtropical flora from the southern hemisphere, including tree ferns and cabbage palms. Info: Mar-Oct daily 0930-1800. £3, £2.50 concession. Tel 860231. Bus No 407 from Stranraer passes through Port Logan on its way to Drummore, a fishing village on the east coast of the Rhinns. Five miles further south is the Mull of Galloway, a dramatic, storm-lashed headland and Scotland's most southerly point, only 25 miles from Ireland and the Isle of Man. The narrow isthmus is an RSPB nature reserve and the home of thousands of seabirds such as guillemots, razorbills and puffins. There's a small information centre. Info: Late May-Aug. Tel 01671-402861. The best places to eat are the Knockinaam Lodge and Ferhill Hotels. Cheaper options include the Mount Stewart Hotel and the Harbour House Hotel, both on the seafront and both of which serve decent bar meals. Also worth trying are Campbells, a seafood restaurant on South Crescent, Tel 810314; and the bistro in The Waterfront Hotel. Buses run regularly between Portpatrick and Stranraer. Tel 0870-6082608. By far the best place to stay in this area is the very wonderful Knockinaam Lodge Hotel, Tel 810471, which offers great sea views, exquisite and unmatched cuisine (expensive) and impeccable service. 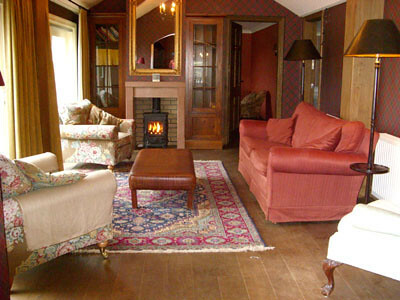 It is rated as one of the best hotels in the south of Scotland. 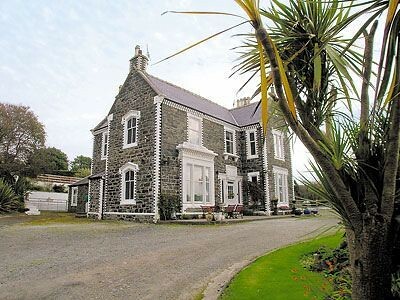 Albony Friendly, local guesthouse in Portpatrick and local for Southern Upland Way on the West Coast of Scotland. more details about Albony There's also plenty of cheaper accommodation, such as: Carlton Guest House, South Cres, Tel 810253; The Knowe, North Cres, Tel 810441; Ard Choille Guest House, 1 Blair Terr, Tel 810313; and nearby Albony Guest House, 4 Blair Terr, Tel 810568. There are a few campsites on the hill above the village: Galloway Point Holiday Park, Tel/Fax 810562, open Easter-Oct; Castle Bay Caravan Park, Tel 810462, open Mar-Oct; and SunnymedeCaravan Park, Tel/Fax 810293, open Mar-Oct. All have good facilities and enjoy good views.